Click on the Download as Mobile Apps option found under the Users and control section of the Settings page. 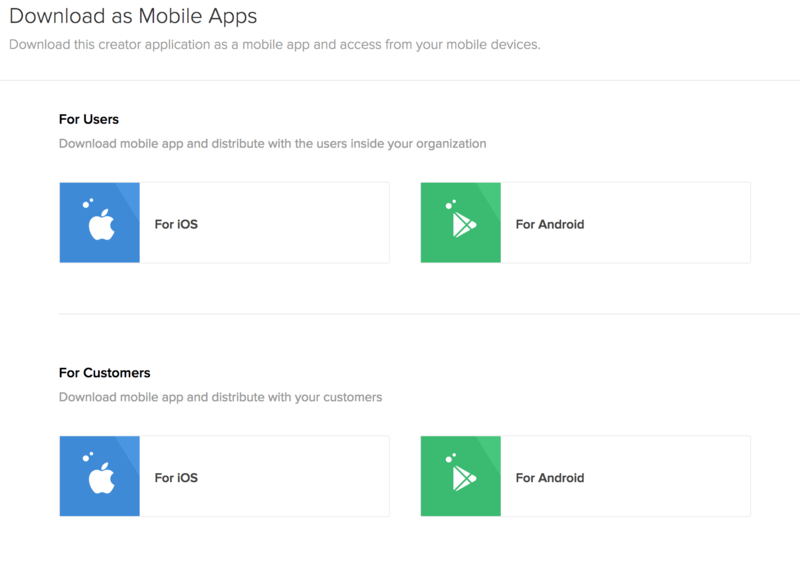 In the next page, the options to download the different variants of the app will be displayed. Click the For Android button under the For customers section. 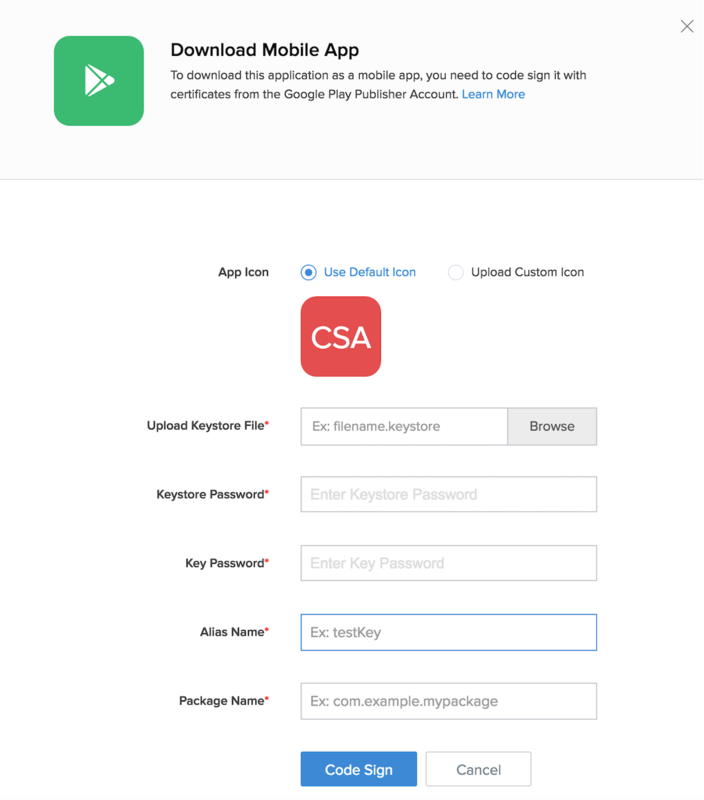 In the Download mobile app tab, select the keystore file, keystore password, key password, alias name and package name. To use a custom icon for the mobile app, select the Upload Custom Icon option and choose the image. 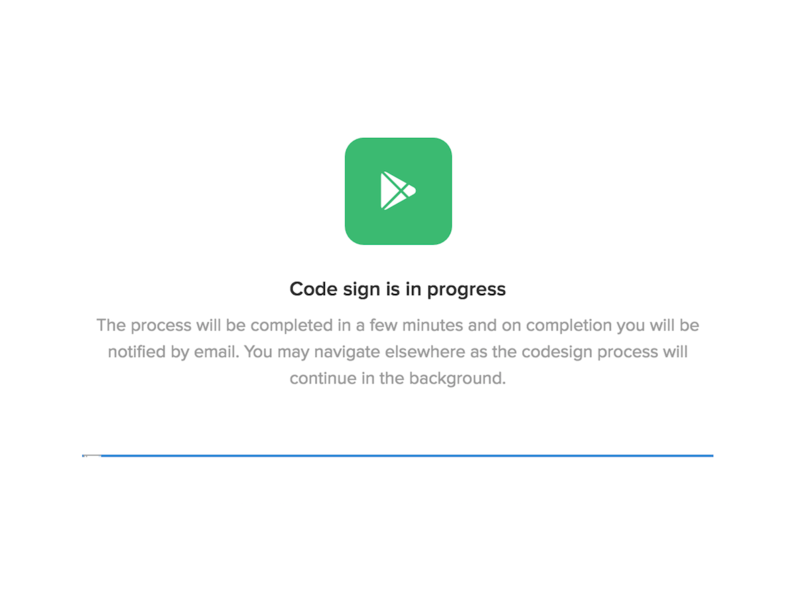 The code sign process will begin and the progress will be displayed. This process will take 7-10 minutes to complete. The status of the code sign process will be displayed in For Android button. Once the code signing is completed the 'Available' status will be displayed in the For Android button. To distribute the app or download the app, click on the For Android button. To download the app, click on the Download button. 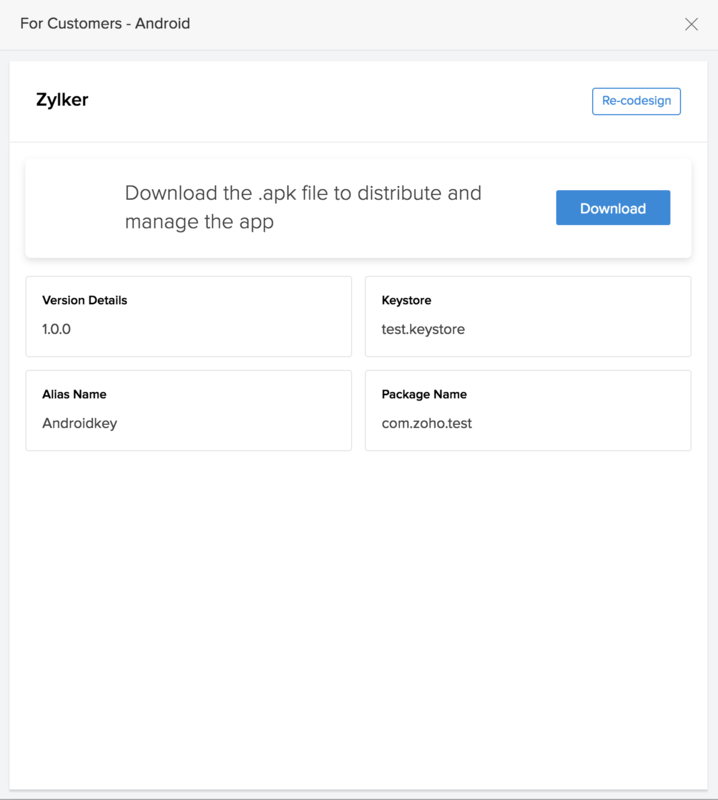 The download of the .apk file containing the app will be begin.